I was lucky enough to be invited by Viking to join them on a portion of their ‘into the midnight sun’ cruise in August 2018. The cruise would take us from Tromso at the top of Norway down to Bergen. 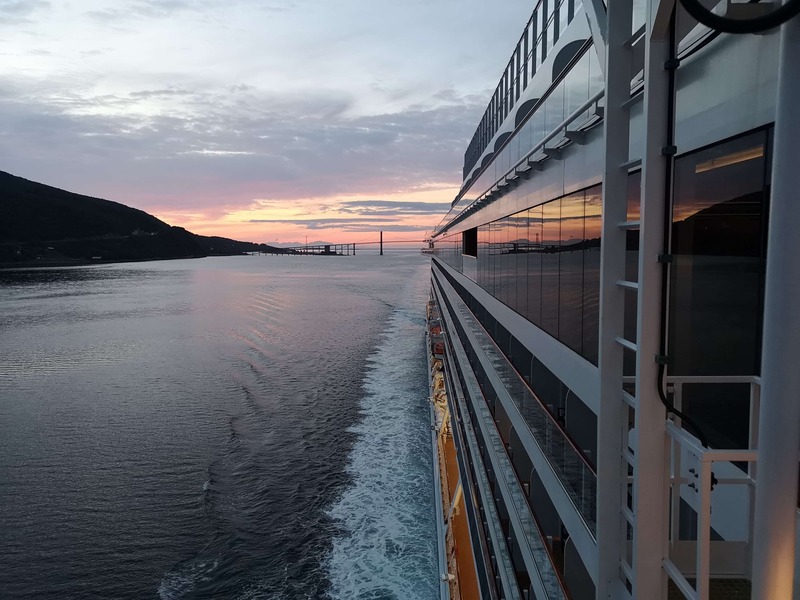 This was my first cruise with Viking and I was absolutely blown away by the ship and chasing the midnight sun was incredible. I find it hard to believe that people live in a place where the sun doesn’t set for two months of the year! I was cruising with Ben and David from Honest Cruising, Katie from Do You Cruise? and Marcus from Sparkx which was amazing. I met them all on my first ship visit two years ago and I would consider us all good friends. Yes! I often get asked about this because many people believe that Viking only do river cruises. Viking did start with river cruises but since 2015 they do ocean cruises too. They have 60+ river ships and 6 ocean ships. None of the ships take more than 1000 passengers and all the cruises are very destination focused. That said, the ships themselves are absolutely stunning. The attention to detail and design onboard is flawless. What is ‘into the Midnight sun’? 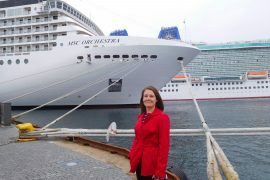 Into the midnight sun is a cruise offered by Viking which starts in London and ends in Bergen, Norway. The cruise aims to find the ‘midnight sun’ (no surprises there). We managed it and the view was INCREDIBLE. 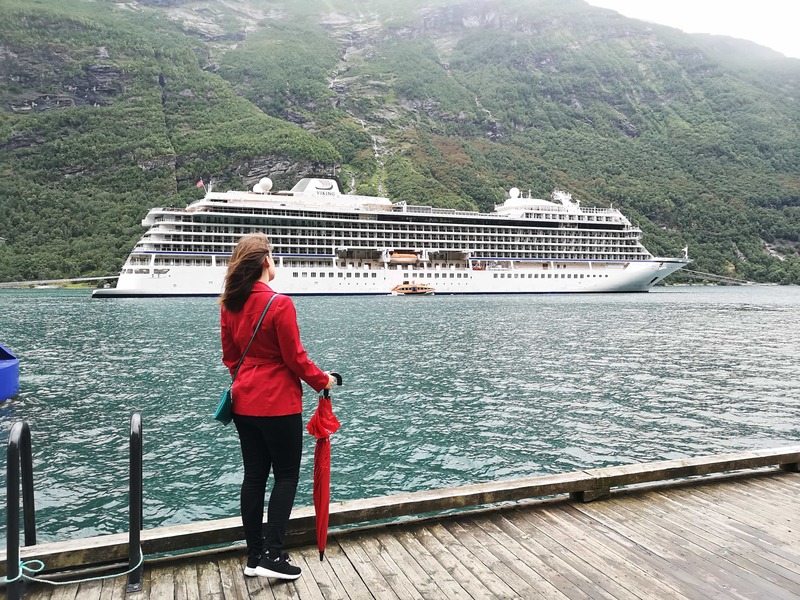 The full cruise is 15 days but I was only onboard for the Tromso – Bergen portion of the cruise. 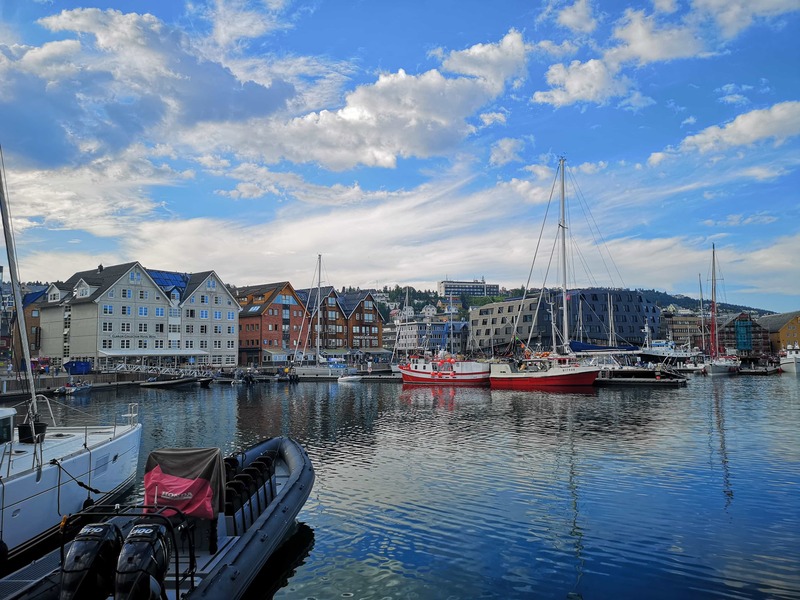 We flew to Tromso via Norway and had a night in Tromso before boarding the Viking Sea. Norway is incredibly expensive, a pint can easily cost you £10-£12. 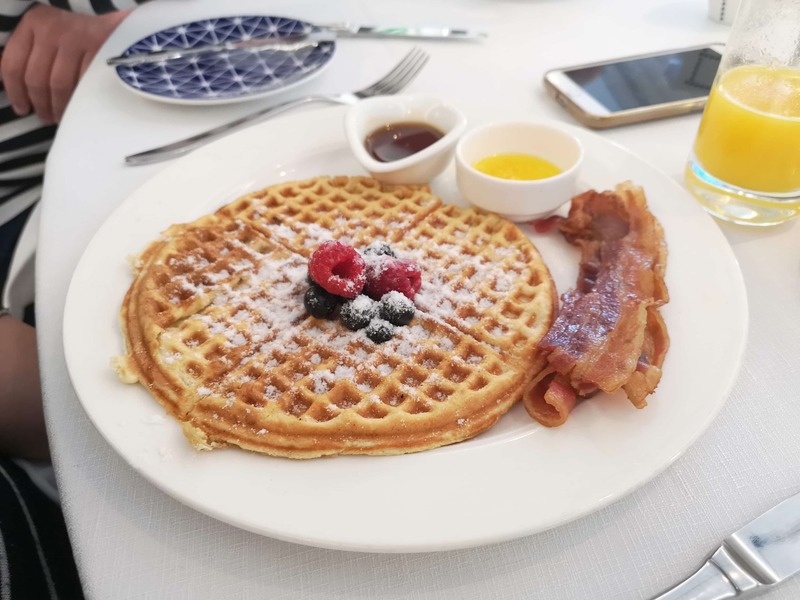 For this reason, I think cruising is a brilliant way to visit Norway since you can eat, and drink, onboard the ship without worrying about the bill. By all means spend some money in Norway to support the economy and what not… but I’d advise you not to go crazy! Prior to this cruise, I had never stepped foot on a Viking ship. I was absolutely blown away by the ship and for the first time, I was actually a little stuck for words. The ship is MUCH smaller than other ships that I’ve been on before but the public areas don’t feel small. The smaller size of the ship is reflected in how busy the ship is (not at all). The attention to detail onboard is just amazing. Each chair will have some little colour co-ordinated cushions or a blanket on it. Each bookcase is filled with books and interesting artefacts. Everywhere you look there is something to admire and you may even learn a thing or two. Meet your local guide and drive through the city known as the “Gateway to the Artic,” and a starting point for many Arctic expeditions. Throughout the city, you will see classic architecture mingling with modern buildings, including the stunning Arctic Cathedral. With its soaring white roofline, it has been compared to the Sydney Opera House. Return to your ship via the Tromsø Bridge. In each port, there is an excursion included in your cruise fare. 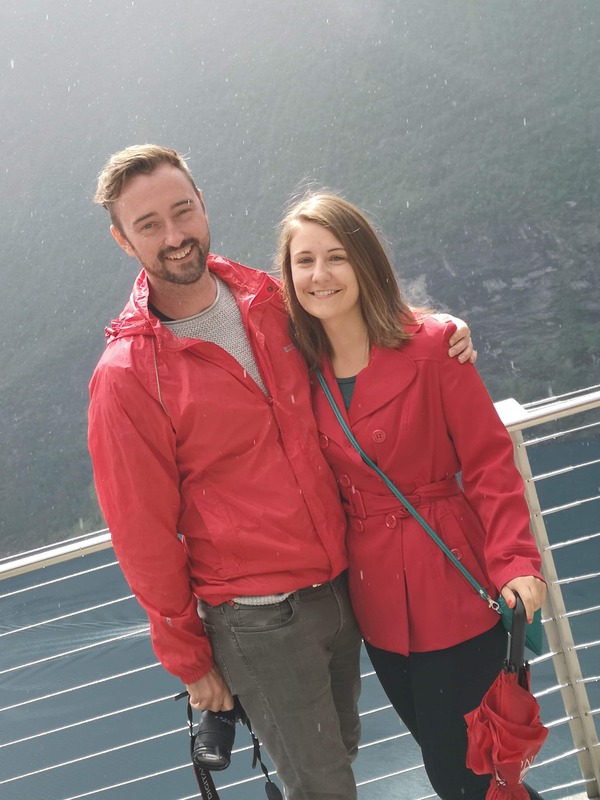 We took this excursion to Tromso and enjoyed a drive around the city. Tromso is known as the ‘gateway to the Arctic’ and we stopped at a viewpoint where Ben and Marcus had a go at flying their drones. The other passengers who had come to see the view seemed to spend a lot more time looking at the drones than the view that we came to look at. We went to Manfredi’s Italian for dinner and had our own private dining room which was really cool. This room doesn’t cost anything extra to use you just have to book it in advance. Manfredi’s was great, we all loved our food and enjoyed the evening in our private room, I felt very special! If you are eating at Manfredi’s it’s best to preplan so that you can make sure you’re REALLY hungry when you go for your meal. The portion sizes can be pretty huge but because it’s so yummy you won’t want to leave anything. During dinner wine, beer and soda are available at no extra cost. I usually went for the white wine with my dinner which was always really nice. I’m not a big wine drinker but each one tasted good to me! 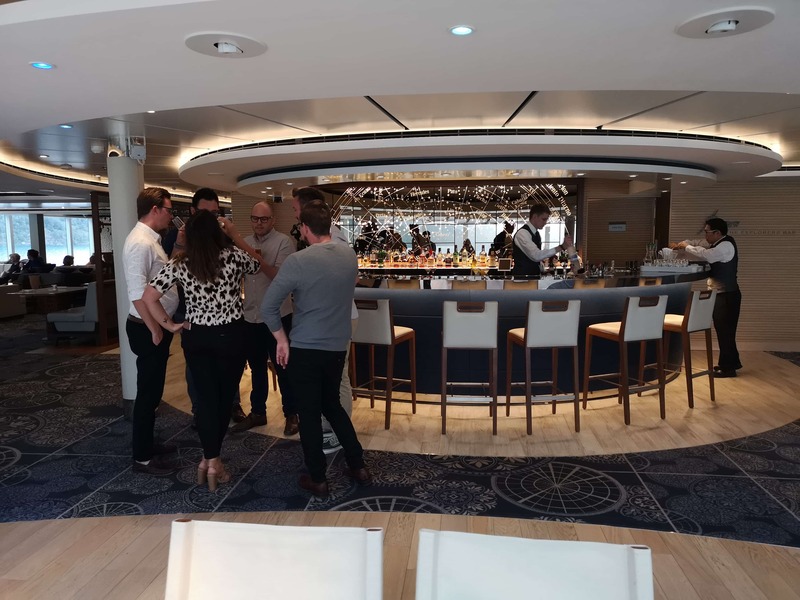 We ended our evening in the explorers’ lounge which is a big lounge/bar at the front of the ship where you get incredible views from three sides. It was here that we found the midnight sun! 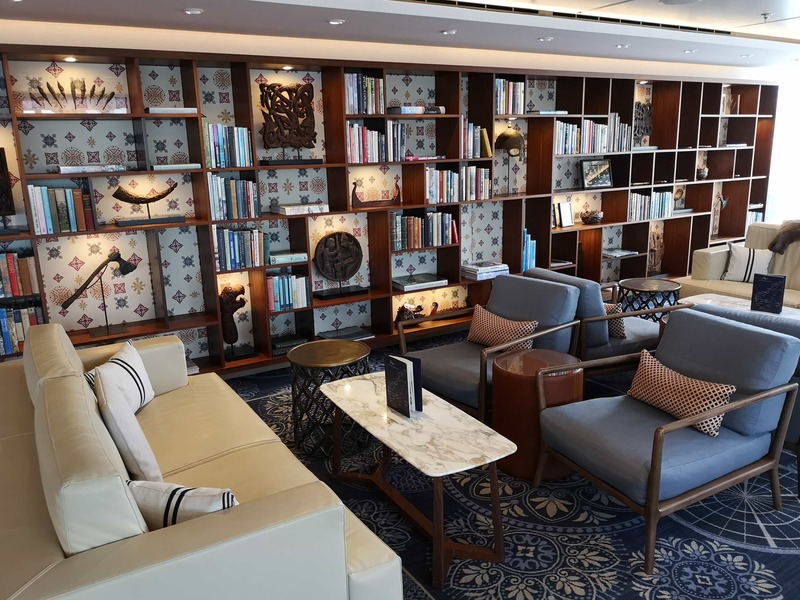 I was surprised at how quiet the lounge and the rest of the ship was. The explorers’ lounge is full of interesting pieces on bookcases/coffee tables and there are a number of big corner sofas which we enjoyed. The lounge is split over two levels with a bar on the bottom level. There is also often musicians here performing. We enjoyed music from a string trio group who played everything from classical music to Lady Gaga. We jokingly requested the Despacito and they managed to pull it off. I started my day with room service which is complimentary onboard. 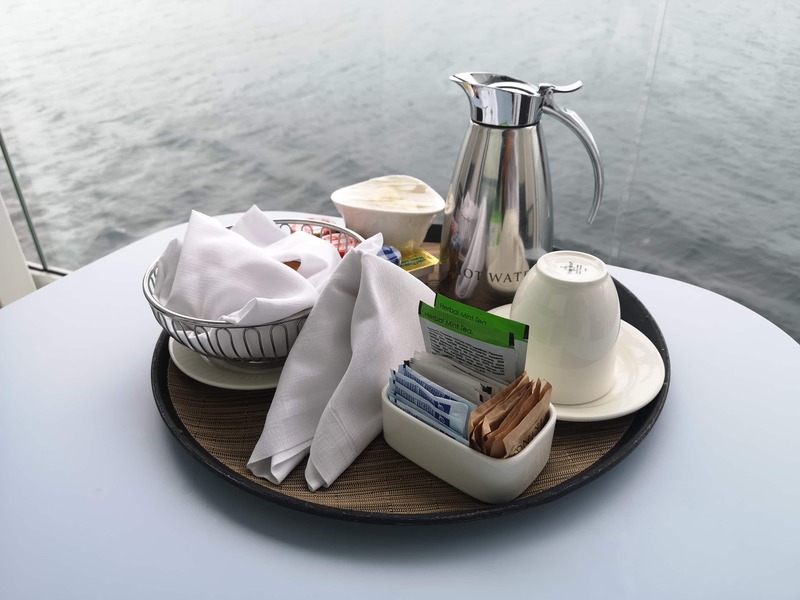 I am used to cruising on cruise lines that have room service but most have an extra cost or a limited menu. Room service is offered 24/7 and the menu is very extensive. There is even a 9oz steak that you can order anytime! I decided to just order some toast, a banana and a cup of tea. I’m not much of a breakfast person but just wanted to experience it. It’s well worth doing! You just fill out the order form before 11pm and leave it on your door. You do get a certificate for crossing the arctic circle which I will treasure forever. After the cold dip, we decided to warm up in the infinity pool and hot tub. That was a VERY good idea. The views from the infinity pool were incredible. We decided to stop off by the pool for lunch. The food here was SO GOOD. 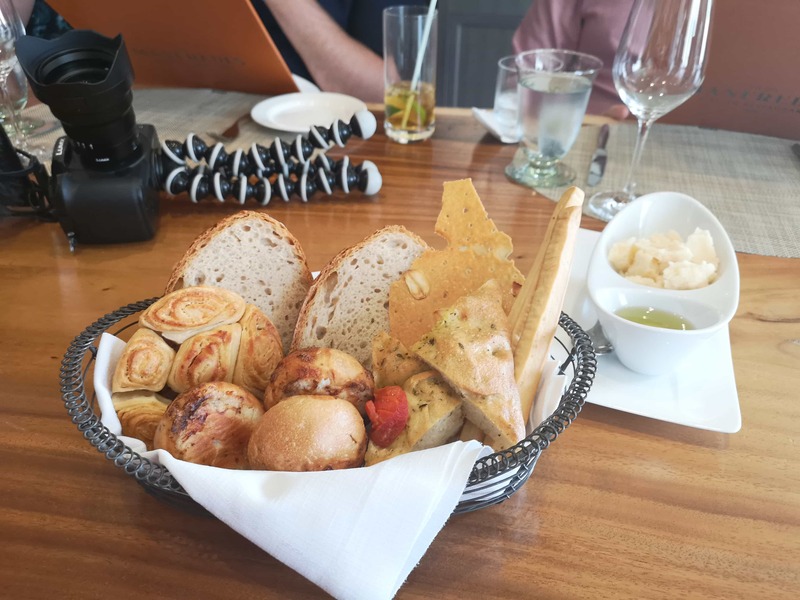 It’s hard to believe that the food we had came from a grill, it would not be out of place in an expensive restaurant at all. 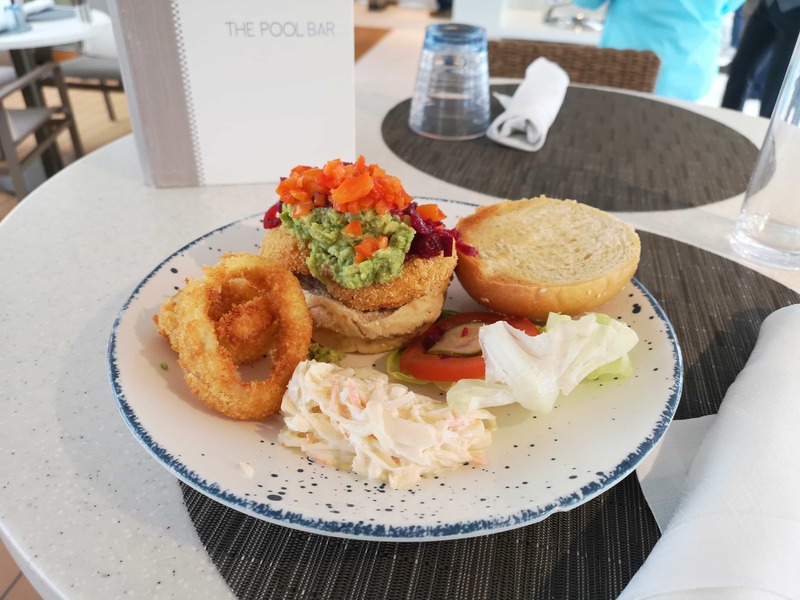 They have a huge salad bar plus a selection of burgers, hot dogs and sandwiches available. We also enjoyed a drink as this is included onboard Viking, woohoo! 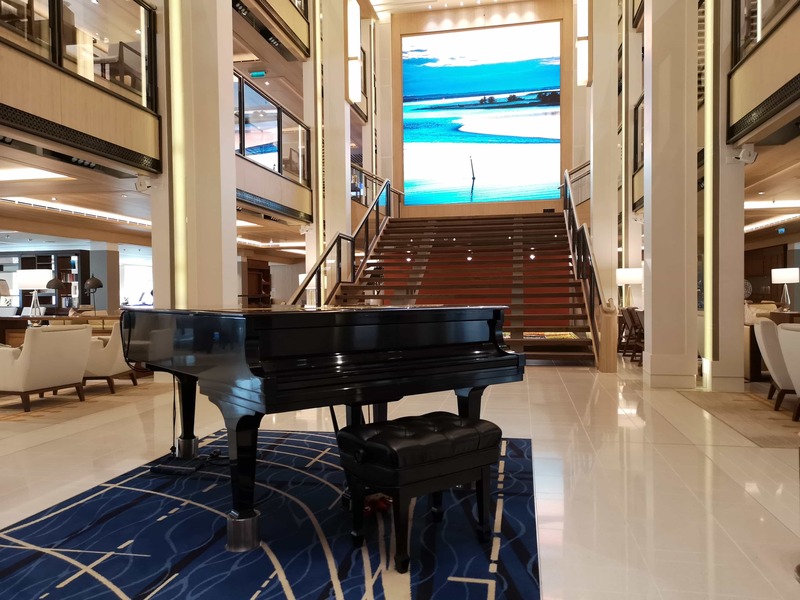 We were lucky enough to be able to tour the gallery of the ship. I have been on quite a few galley tours now but it is still interesting to get to go behinds the scenes. The gallery was pretty small onboard but we got to see each station where different types of food are prepared. 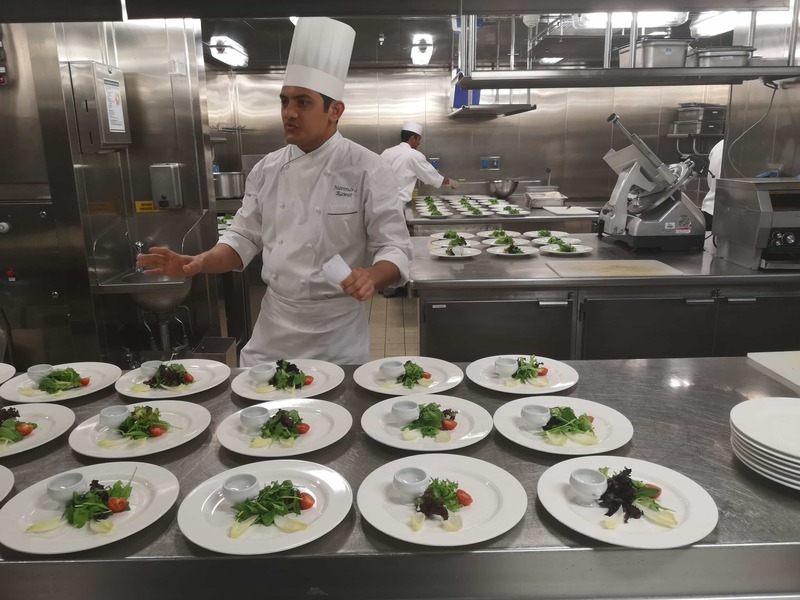 The chefs talked to us about how they know what to prepare when. It really is a military-style operation! Viking also seems really good at dealing with alternative diets/allergies which is always reassuring to see. If you have a ‘special diet’ do not worry about cruising on Viking. 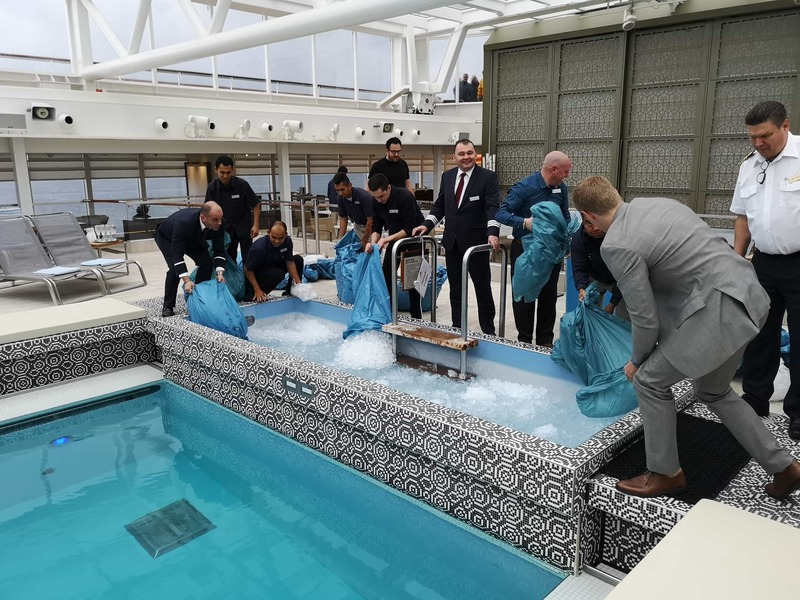 You’d be well catered for, arguably better than some of the bigger cruise ships because of Vikings high crew to passenger ratio. We had dinner in the main dining room and again the food was A-MAZING. The chef’s/waiting staff were really attentive and checked that everything was okay with our meals multiple times. We were on a table for 10 but nobody ever had an issue with any dish. The chefs were more than happy to change the dishes/improvise if necessary. 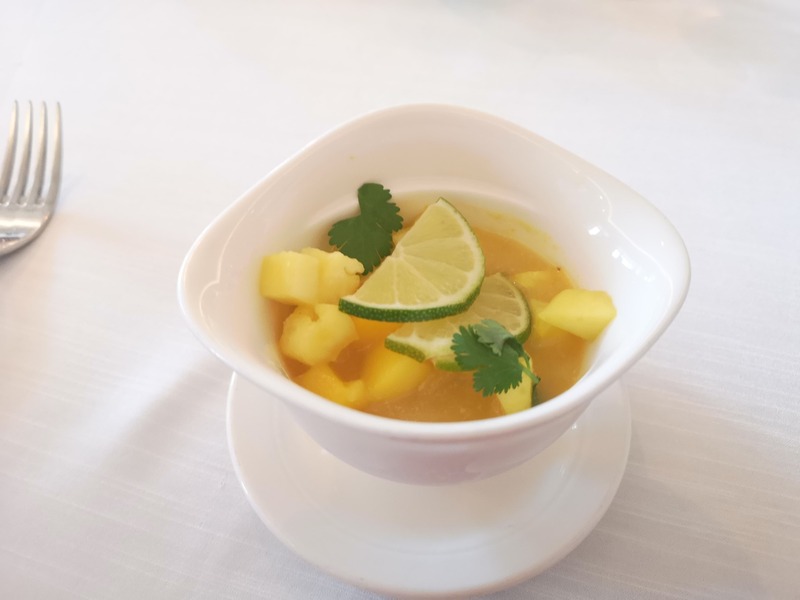 Below is my Mango starter. We headed to Torshavn for our evening drinks. Torshavn is the Viking Sea’s night venue. There was a band playing until around midnight but we stayed later which wasn’t a problem. 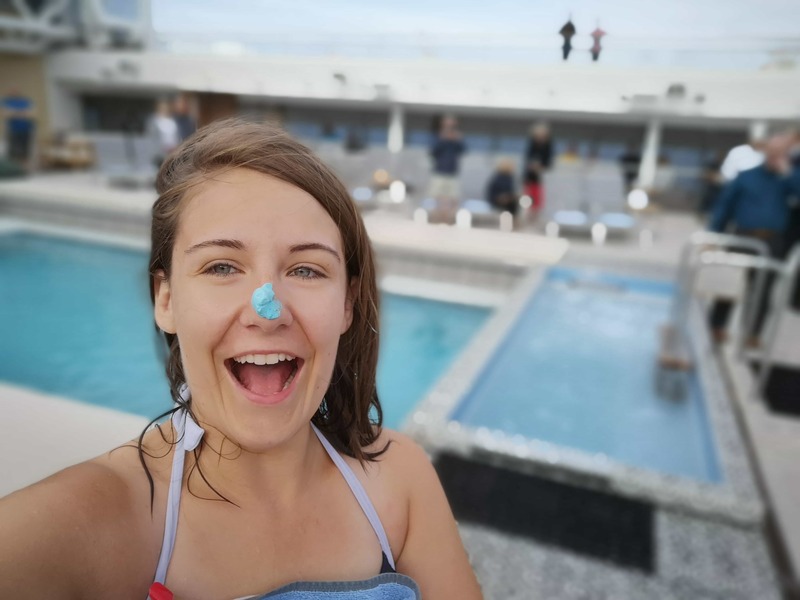 Viking aren’t a cruise line that has crazy parties going on into the night but that really isn’t what I cruised with Viking for, and it isn’t what the other passengers cruise for either! The atmosphere in the bar was amazing and we enjoyed multiple rounds of drinks. When ordering drinks onboard Viking you simply give your room number and your drink will arrive shortly. After our initial order the waiters always seemed to remember our room numbers and would bring us a new round of drinks whenever we asked. 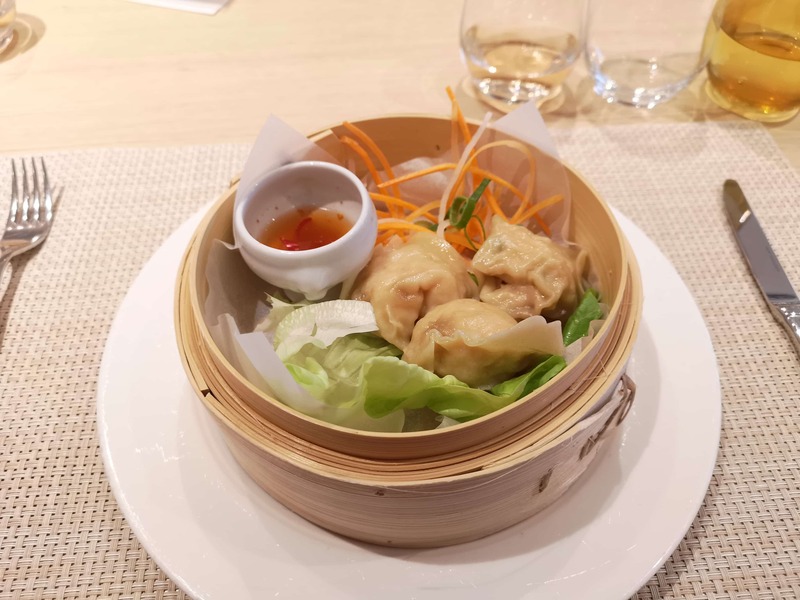 The buffet onboard is SO good. I think the word ‘buffet’ really downplays the quality of the food available. I, of course, went for my standard bread and banana combination but everybody else had much more adventurous things. The buffet isn’t particularly big but still has a huge range of hot food/breads/cereals available. They also make waffles which I hear are amazing! 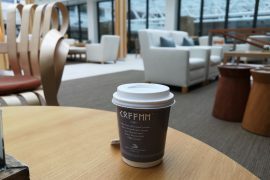 There is a section where you can get a cup of tea/coffee and a juice/water. I particularly liked how you could make your beverage in a ‘to go’ cup and take it with you around the ship. 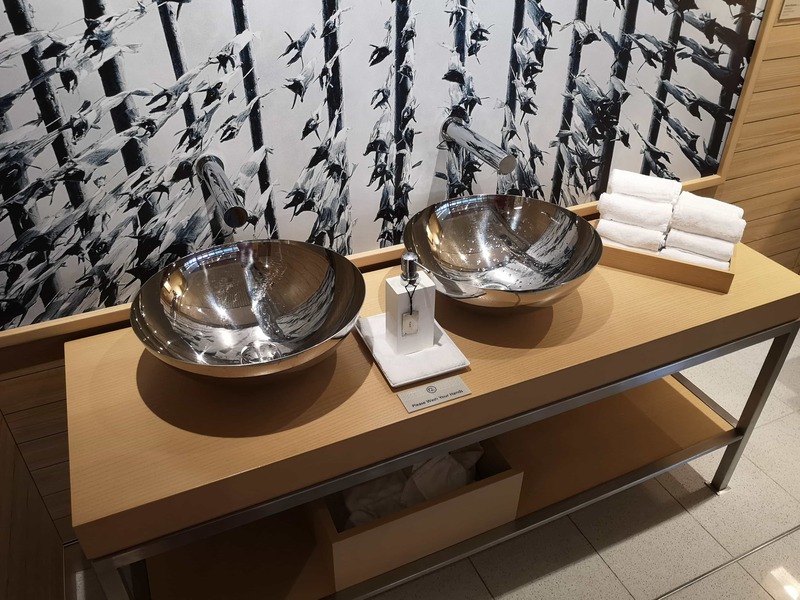 Even the sinks for washing your hands were REALLY fancy. Look at this! No paper towels to be found. Visit Molde Cathedral, viewing its exterior and floral displays, before discovering Norwegian traditions at the Romsdal Museum. Continue to the open air Romsdal Museum. 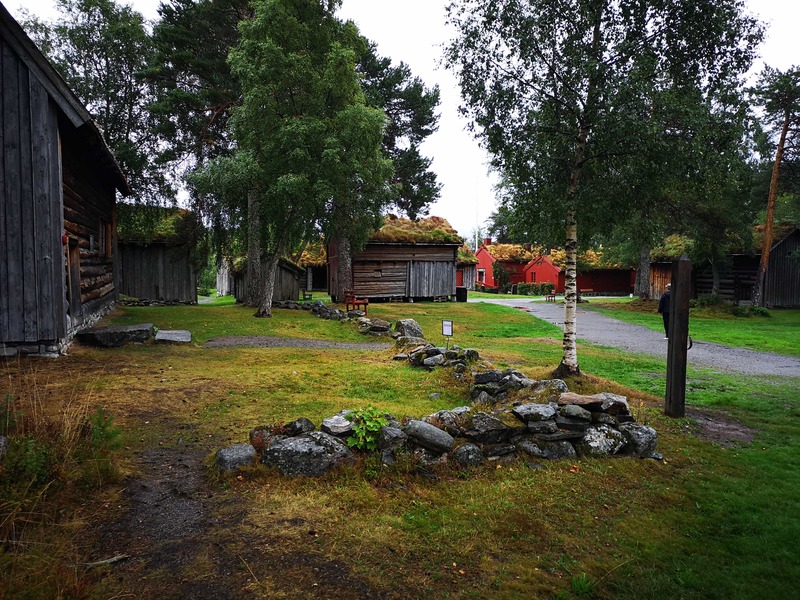 Step back in time and discover what life was like for the people of Molde. Wander through 40 historic buildings illustrating the fascinating development of this community, from the Viking era to the 20th century. 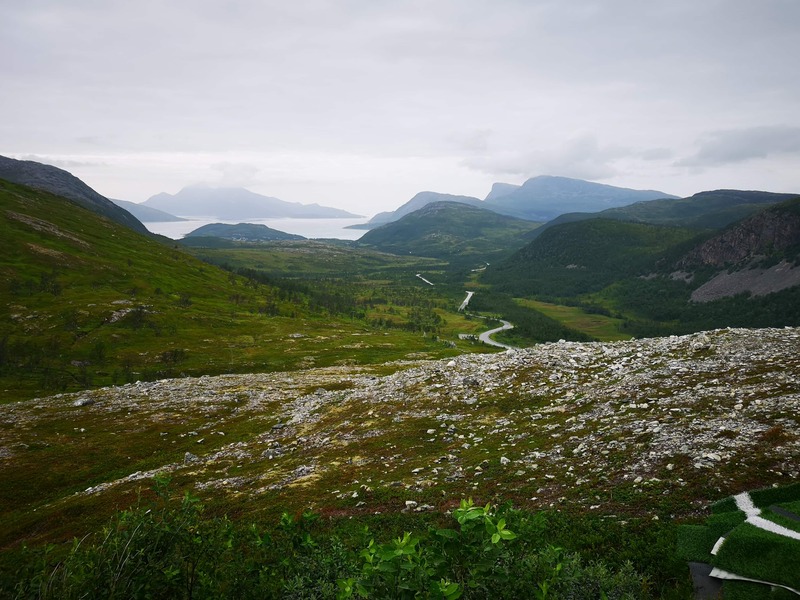 On the way back to your ship, stop at the Varden viewpoint—1,300 feet above Molde. Enjoy magnificent vistas of the surrounding fjords and the Romsdal Alps. This was another included excursion and was more involved than the one that we took in Tromso. Sadly it was POURING with rain during this excursion which was a shame. Viking does provide big red umbrellas though. We first visited a church (which was closed) and looked at a garden. I’m sure the garden would have been lovely had it been sunny but I just ended up with wet feet. We next headed to an open-air museum where they had houses from the 1600’s 1700’s and 1800’s. Some of them were quite difficult to get into and I couldn’t stand up in all of them (I’m 5’7). It was cool to see but if you weren’t stable on your feet you definitely wouldn’t be able to visit all of the houses. They also put on a show for us in a barn where we watched some traditional Norwegian singing and dancing. After this, we headed up to a viewpoint where we could see the Viking Sea! The road was a little tight in some places so that made for an interesting drive. 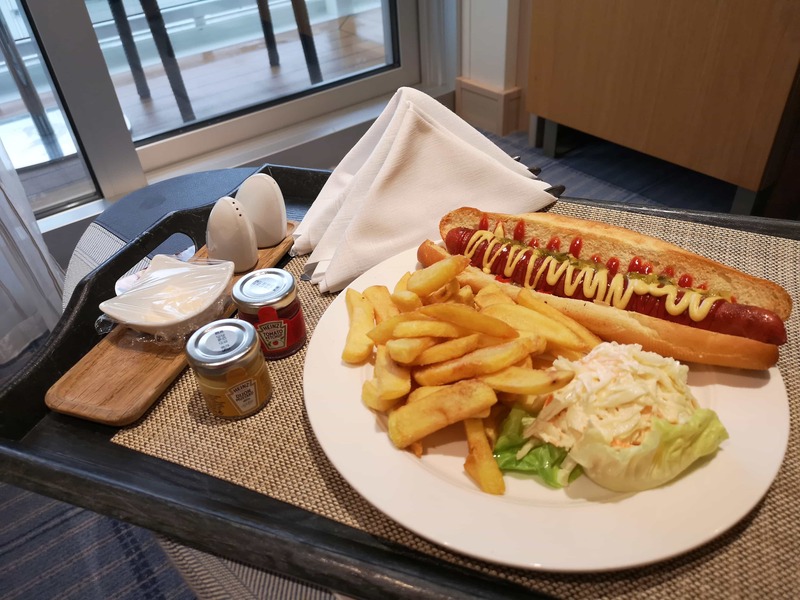 I ordered a hot dog on the room service menu while I dried off my feet from the excursion…(the underfloor heating in the bathroom came in handy for this). I also filmed a cabin tour which I’ll link to here when I’ve uploaded it. My hot dog was really good, I don’t even think it looks real?! It looks too good to be real, I definitely couldn’t do the ketchup and mustard in such a perfect pattern. Being in a group of 10 we managed to get a private dining room again which was really cool. 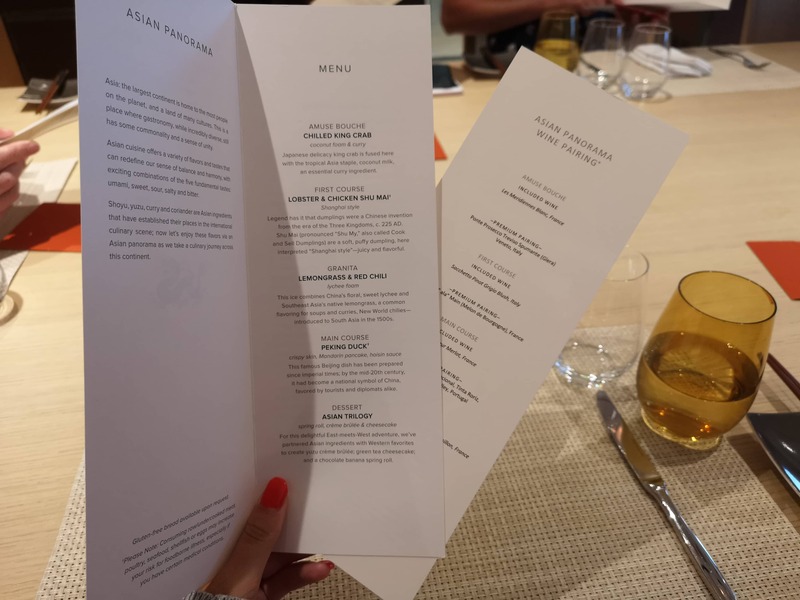 We had a five-course Asian tasting menu which was really really yummy. 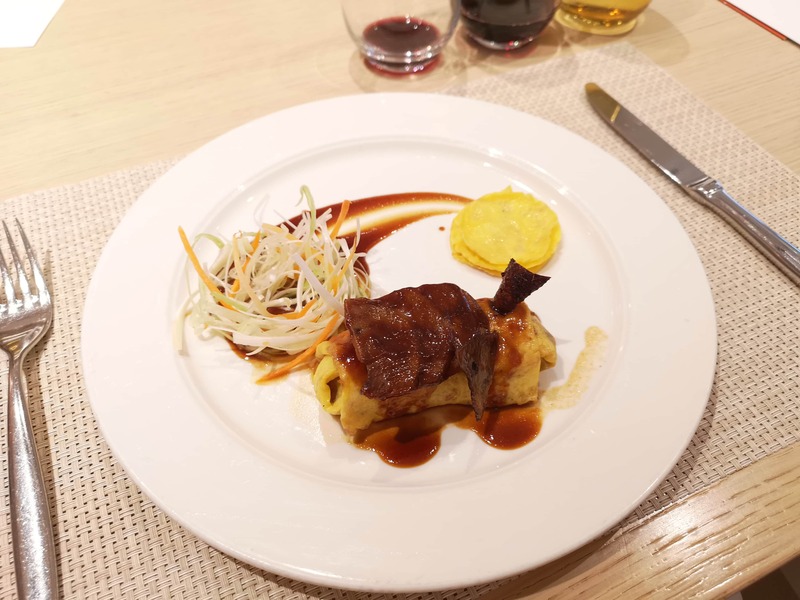 Each course was paired with a wine. For a ‘tasting menu’ I thought that the portions were pretty big. I wasn’t hungry when I went into dinner because of the room service I had for lunch but I gave it my best shot! I got up EXTRA early on this day to film my ship tour videos. One of decks 1 2 3 and one of decks 7 8 9. I usually get up early to film ship reviews because they are normally quieter. However, the Viking Sea was always so quiet that I probably could have filmed the tour at any time. Please consider subscribing to my YouTube channel if you haven’t already. We headed to the main dining room for breakfast. Something that I rarely do when I cruise because I’m not really a big fan of breakfast. My standard breakfast is toast and a banana which I usually have when I cruise too. I love how they even cut up my banana and put it in a bowl for me. Katie had some waffles which looked yummy. The restaurant was actually really quiet. I can only assume that most people were still in bed. We headed back to the explorer’s lounge and had a few pre-dinner drinks. 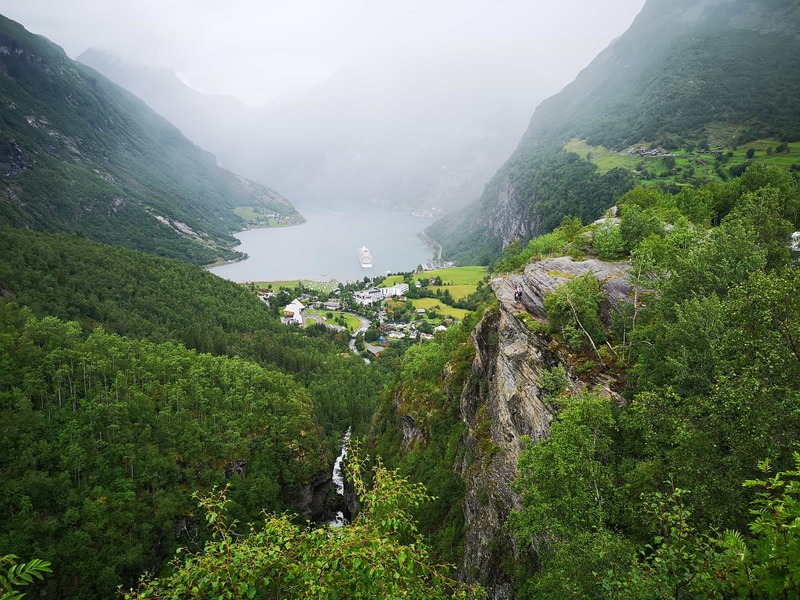 The views of the sail away from Geiranger were AMAZING and the explorer’s lounge was the best place the journey. 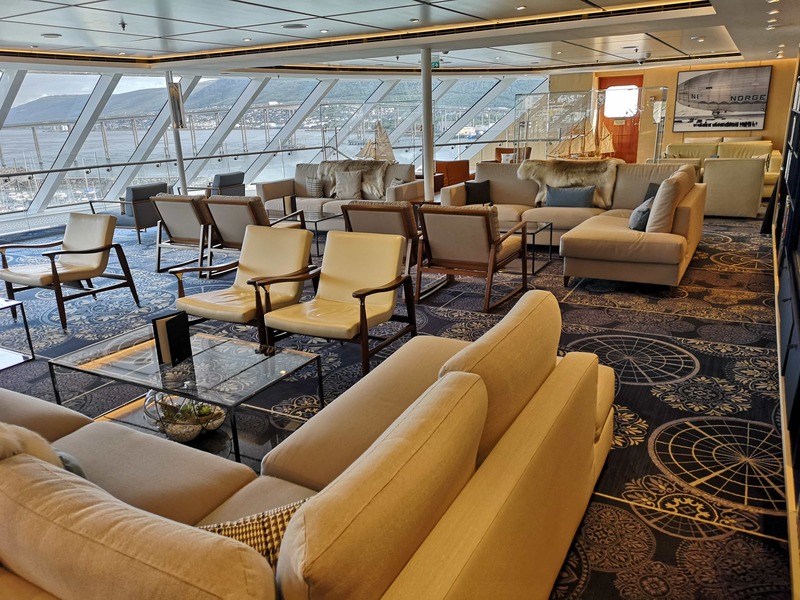 The explorer’s lounge has huge glass windows on three sides meaning that you’re able to see the fjords on both sides and where you are going at the same time. There is also a part at the front of the ship outside the explorer’s lounge that you can admire the view from. It was raining and pretty windy by this point so we mostly just stayed inside with our drinks. Mines a Bellini! The word buffet REALLY underplays the quality of the food available. 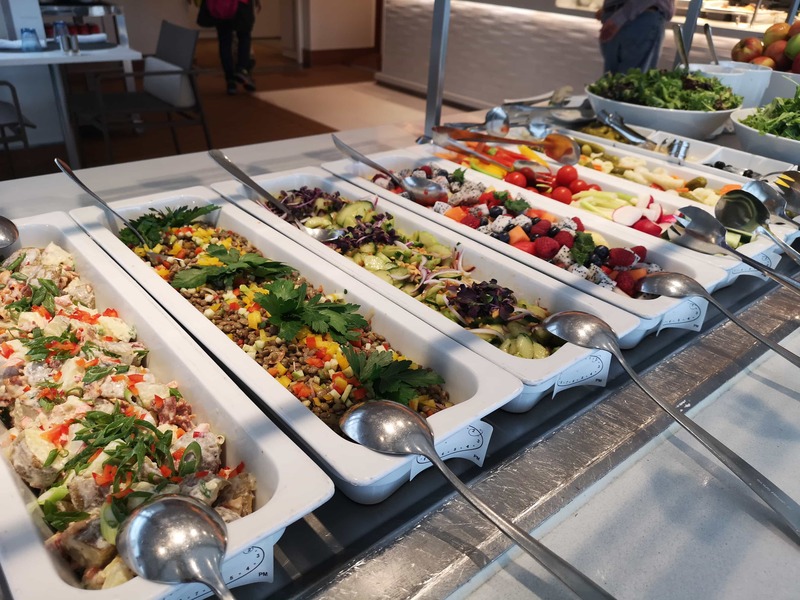 If any of the food from the buffet was served in a restaurant you would be very impressed and never know that it came from a buffet! There was lots of variety and on this night the buffet had an impressive sushi section. Fabba is a mix of the ‘fab four’ and Abba. 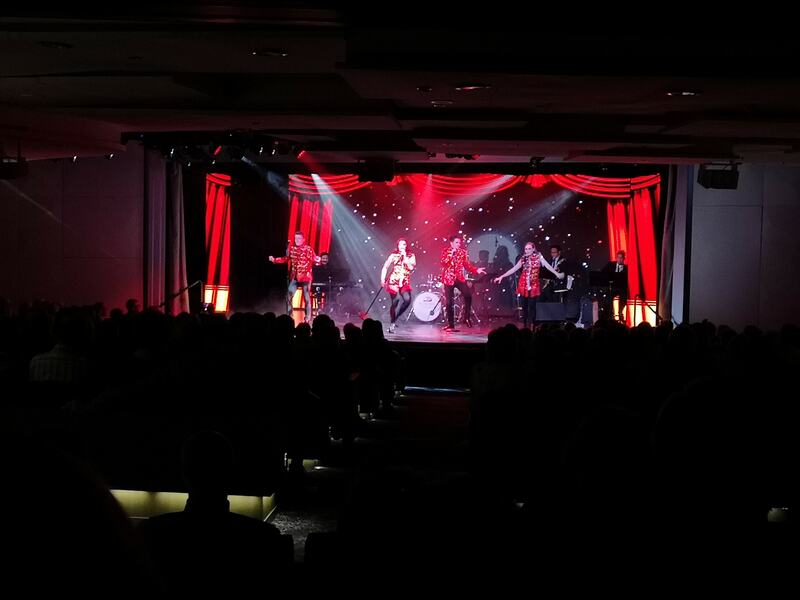 Four singers and dancers sang and danced to the greatest hits of The Beatles and Abba. The theatre filled up really quickly so make sure you get there early if you want to watch a show. My favourite thing about the theatre was the fact that they had blankets on the seats! I am ALWAYS cold and being able to snuggle up under a blanket was amazing. 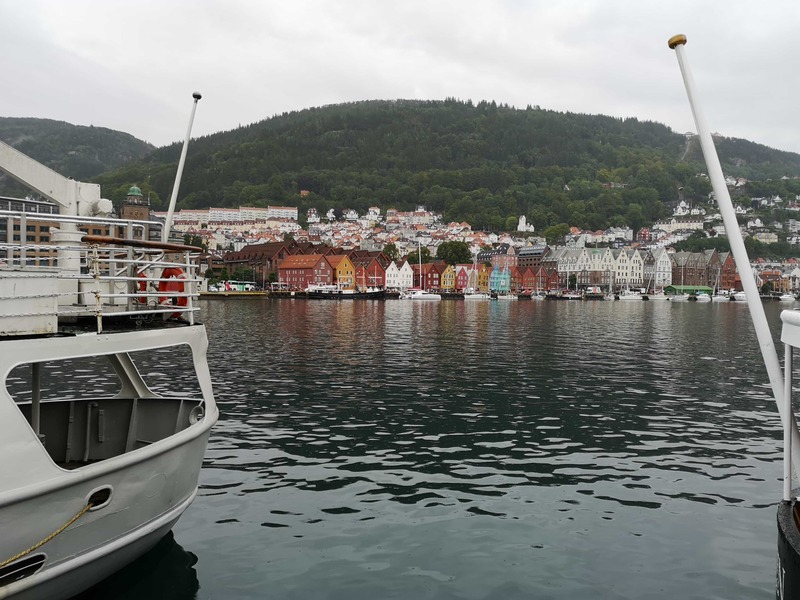 I’ve been to Bergen before and it rained terribly so I was hoping for some sunshine this time… no such luck! Apparently, it rains 260 days of the year in Bergen. Even in the rain, Bergen is a lot of fun. We went on a tour which took us to all of the main sites of Bergen. 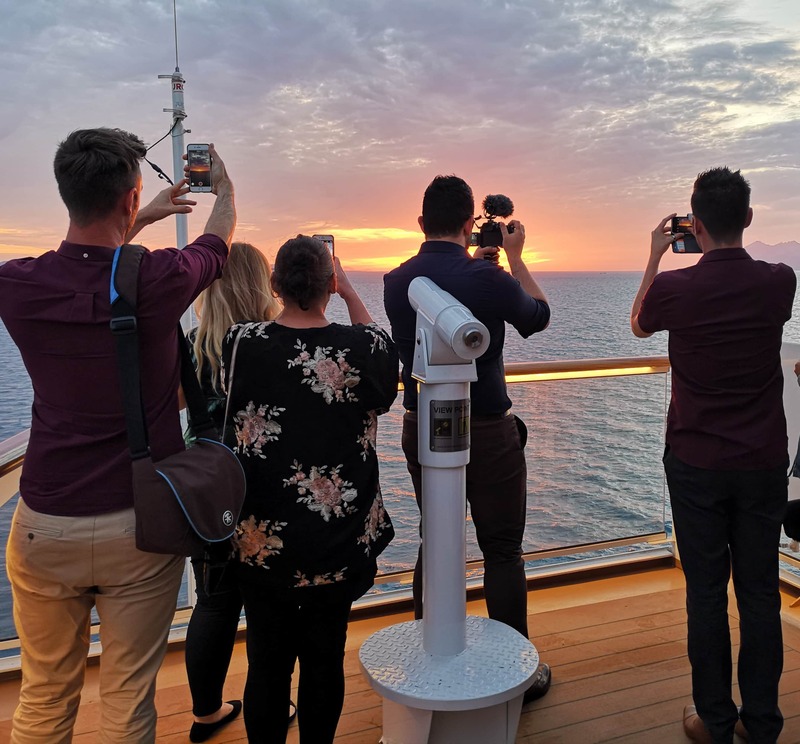 It is worth noting that although one excursion is included in your cruise fare you’re still able to choose other excursions if you’d like too. The included excursions aren’t usually too strenuous and are mostly coach based with stop off points/things to see and do. We headed back to the pool grill for lunch because it was SO YUMMY the first time around. This time I had a veggie burger and a couple of cans of Diet Pepsi. I loved being able to pick up a can with lunch, it was so easy. That was it. Time to leave! I’m still not over the cruise blues. I had the most amazing time onboard the Viking Sea and I feel really lucky to have been able to experience it with the people that I did. I was blown away by the attention to detail on the ship and the friendliness of all of the staff members on board. The food was also AMAZING and I loved my cabin (it had USB plug sockets and underfloor heating in the bathroom!). 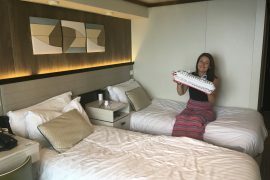 Leave me a comment letting me know if you’ve ever cruised with Viking or if you’re considering it. If you have any questions please just ask. Hi Emma. I found your blog on the Norwegian Fjords very interesting. I was particularly interested in your comments about the ship. I will consider them for next year or more likely 2020 (Big birthday 70 years young!) Keep up the good work. Really enjoyed this post liked the diary format. The fjords are just stunning and you would definitely find us in the Explorers Lounge. 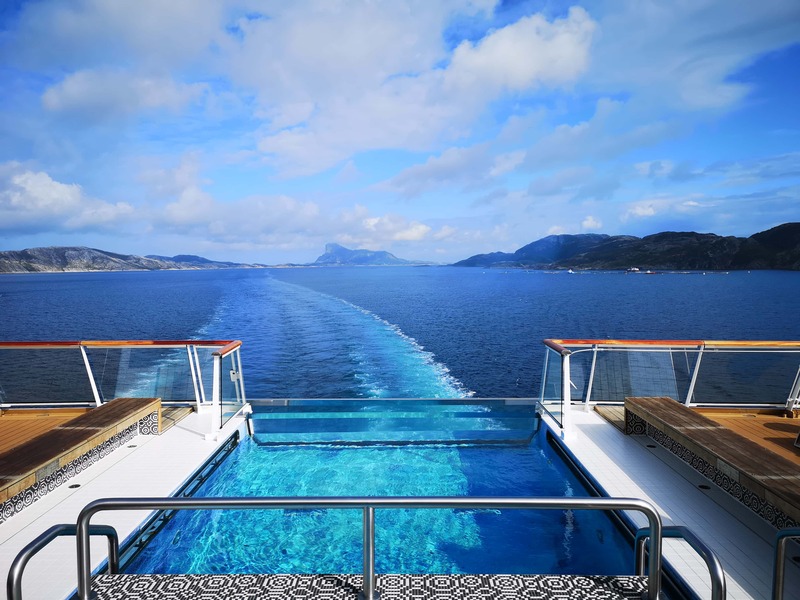 Viking looks an amazing company to cruise, hope we get to experience a Viking cruise one day. The towels are already on the loungers? But how are people supposed to reserve them at 6 o clock?! 😉 In all seriousness, the pools look gorgeous – love that one is covered for all weather relaxing! 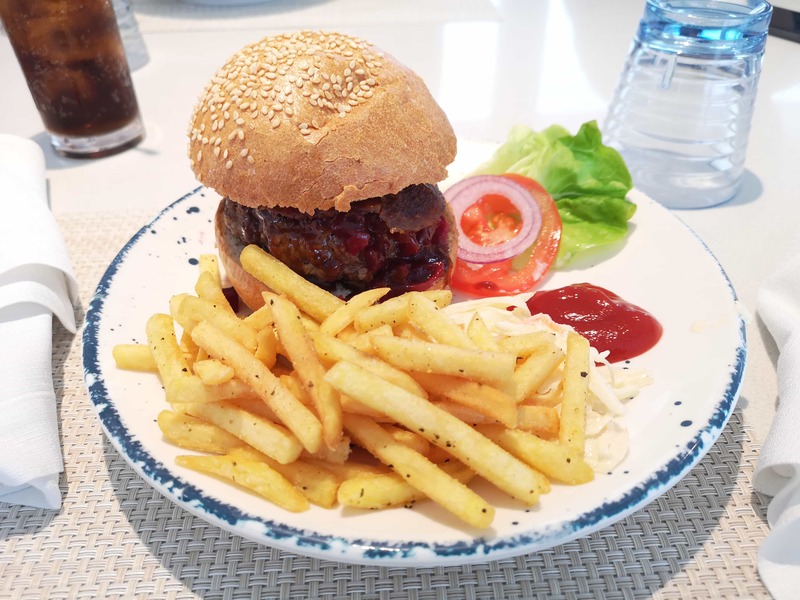 Ok, seriously, the food on Viking looks insane – interesting to hear they might be better for dietary requirements than bigger ships, I’d never thought about it in terms of crew/passenger ratio. Ha ha!! No need at all, each person could have 10 sun loungers no problem!! Such a quiet ship.